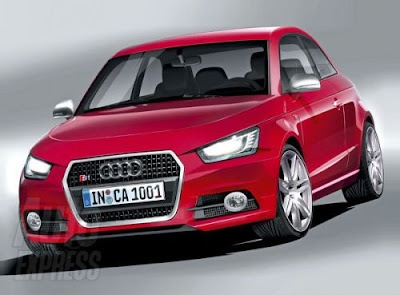 Yes, we know, the A1 has not even debuted. However, you can't blame us for oogling at a few renderings of what the S1 would look like. Because really, Audi "S" car's are so much more fun. Of course, as with most "rendered speculations" there's really no details to go along with the images. Hell, we're not even sure this car will come to fruition. In the mean time, rumors are swirling that A1 will make it's international debut at next month's 2009 Frankfurt Motor Show. Only time will tell. We'll keep our eyes peeled.